The Ellwood J. Carr Botanical Collections came to Pine Mountain in 1984 from Carr who wished to support the growing Environmental Education program at Pine Mountain Settlement. The very large collection was housed with other instructional materials for the Environmental Education Program in the former Girl’s Industrial Building, now commonly called the “Plant Center.” The Collection forms the backbone of all botanical instruction in the EE program. This distribution of botanical gardens is all the more remarkable when the extraordinarily rich botanical environment of Eastern Kentucky is acknowledged. Why is there a gap in the eastern counties of the state? As the Elwood J. Carr Collection makes evident, the eastern part of the state is home to some of the rarest and most diverse flora in the Eastern United States. 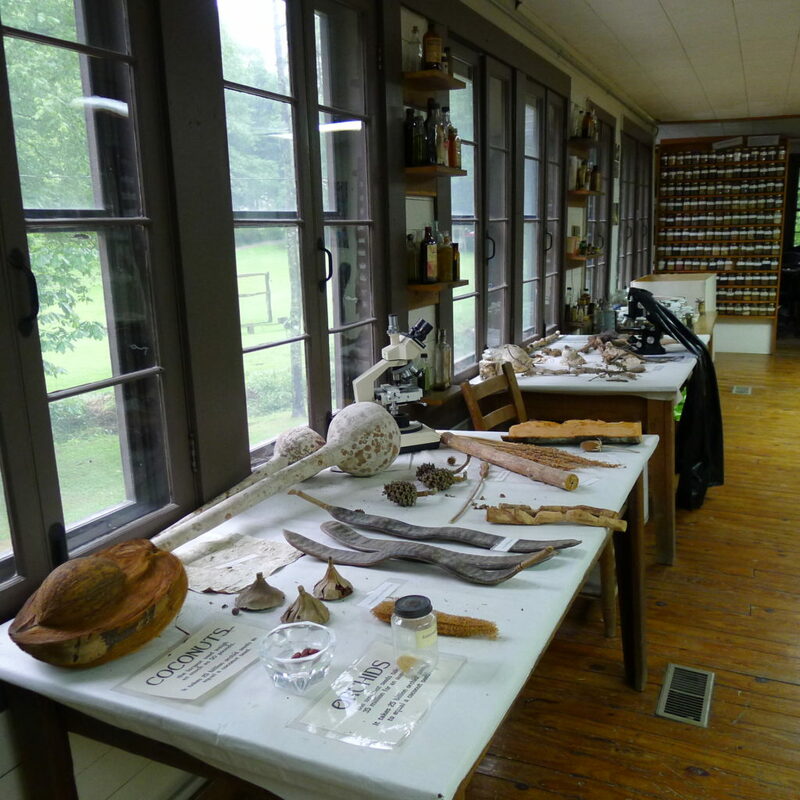 Carr began his collection of specimens sometime after his 50th birthday and quickly became conversant with the language of Botany and an avid enthusiast of all things botanical, particularly edible and medicinal botanicals. Sometimes idiosyncratic and redundant, his collection provides a hands-on experience for the many school groups that have passed through the environmental education program. Ellwood Jerome Carr (biography), who preferred to be called “Bud” throughout his life, was 95 years old when he died on March 26, 2005, in Brodhead, Kentucky. His long life as a self-taught naturalist was regularly punctuated with accomplishment and his contributions to southeastern Kentucky are well-known to those interested in the flora and fauna of this region.